Brick Restoration | Wilkens Contracting Inc.
As a fully licensed and insured family based company, we here at Wilkens Contracting have over forty years of experience in the restoration and construction industry. We take pride in our quality work, as well as our superior customer service, as we treat every client as if they were a member of the family. If you require a high caliber of brick restoration, our expert team of professionals is here to help. How can we help you might ask? Please read on to find out! Hiring a professional for brick restoration is the smart thing to do, as it will result in structurally sound, high-quality, and aesthetically pleasing results. Wilkens Contracting has been in the business of masonry restoration since 1977, aiding the Greater Toronto Area with countless projects. 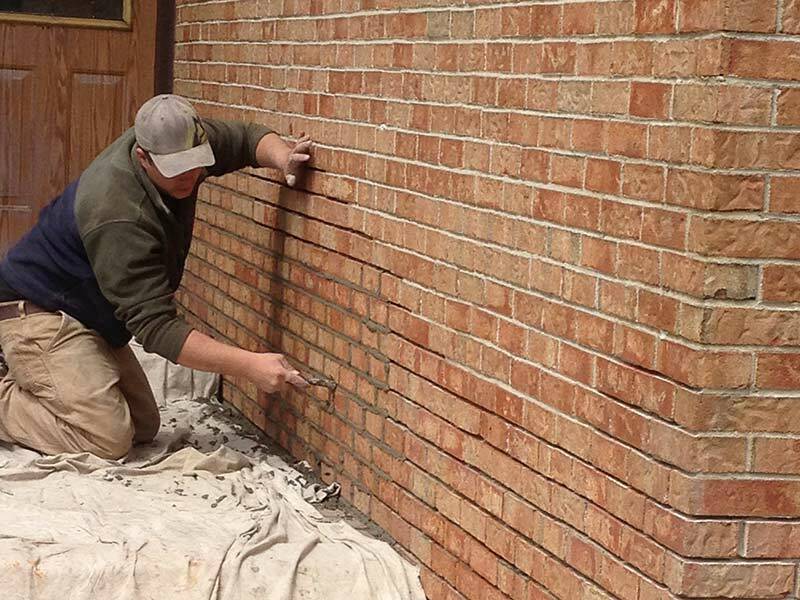 With hands-on experience and comprehensive knowledge of the industry, our expert team has the know-how and skill to get your brick restoration done! Noticing the crumbling of your bricks, known as spalling, or the degenerating quality of your brickwork, resulting in a structural weak or aesthetically unpleasant masonry? Deteriorating bricks can be replaced and blended in to your original masonry walls. That is why we are in the business of restoration- to help those in need of it. 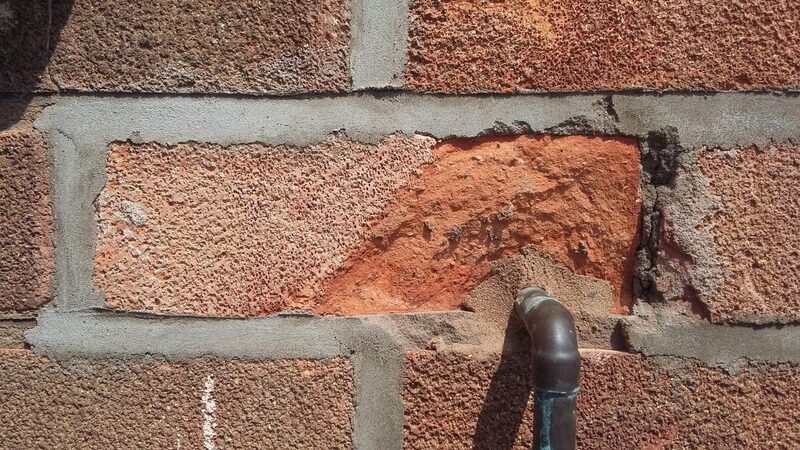 We offer repair and tuck-pointing services to restore the overall quality of your brickwork. We can replace your crumbling mortar or bricks with matching types, as we have a wide array of brick types, including antique ones, to fit a range of home aesthetics in the Toronto area. We will make sure our mortar matches your current colour and texture, so the repairs do not stand out from the rest of your home’s masonry work. We can also add new brick openings to your home if you would like an added window or door. We offer a free restoration estimate to all of our potential clients as a way to show our sincerity at transparency and our eagerness to maintain the overall integrity of your home. Just provide us with your contact information and what you are looking to have completed and we will get back to you in a friendly and prompt manner! Contact us online, or call 416-425-8055 for Wilkens Contracting today! Bricks date back to 7000 BC, making them one of the oldest construction materials on the planet. Bricks, deriving from clay found in the ground, have served an essential function in our homes for centuries. Wilkens Contracting, helping the Toronto area, understands the importance of brick repairs in maintaining the integrity of your home. To learn if you are in need of brick repairs with Wilkens Contracting, continue to read this article or peruse our website. Widely used, bricks should be kept in good repair to get the most out of this material. If your bricks are chipping, or breaking off in fragments, your bricks are spalling. When this happens, your structure is falling into disrepair. Spalling can lead to structurally weak buildings and are unpleasing to the eye. Here at Willkens Contracting, we offer brick repairs in the Toronto area. It is of utmost importance to restore your bricks to their optimum state as a means to keep your buildings structurally sound and aesthetically pleasing. So put a stop to your spalling bricks today by hiring our knowledgeable team at Wilkens Contracting. Bricks also denote any rectangular units laid in mortar and can be constructed from an array of materials- whether it clay, sand, lime, or concrete materials. Our tuck pointing processes focus on the mortar, repairing and maintaining the joints and holes within this hardened substance. At Wilkens Contracting we tint all of our mortar before applying to the joints to match it to the existing colouring as a means to produce seamless brick repairs for our Toronto based clients. The primary cause of all brick and mortar deterioration is due to moisture. This condensation hits hardest along the base of the wall, at the windowsill level, by the downpipes and pillars, as well as in the chimney area. Structures built before the 1950s did not seal their foundations, like many buildings in the Toronto area that were constructed before this time period, these brick facades are beginning to fall apart. Moisture from the soil creeps into the bricks and spreads up the wall causing destruction. Wilkens Contracting can stop this spread of decay and repair your brick facade back to its original glory! To see how well Wilkens Contracting executes our brick repairs in the Toronto area, take a look at our gallery! Contact us at Wilkens Contracting today to get your brick repairs underway! Since 1977 Wilkens Contracting Inc has been doing brick restorations in Toronto. One could say “I’ve seen it all.” The following are articles written from first hand observation and information gathered by me. The major cause of brick and mortar deterioration is basically moisture. The deterioration usually shows first (a) along the base of the walls, (b) in and below window sills, (c) by the downpipes of the eavestrough system, (d) porch walls and pillars and (e) in the chimney above the roof line. (a) Before the early 1950s foundations weren’t sealed. the moisture in the soil sits right against the foundation masonry and tends to wick up the wall. The end of the “wick” is where the masonry tends to degrade most rapidly. Brick restoration and pointing is needed here to maintain the integrity of the foundation. (b) The areas below the windows get a beating in the late fall and early spring. This is mainly due to snow accumulation on the sill and its slow melt from heat loss through the opening, saturating the sill and the bricks below. Added to this is the freeze/thaw which occurs when the temperature drops and rises and when the sun melts it on a cold day. Brick restoration and pointing is needed here to keep the moisture from getting to the inner wall. (c) Over the years there have been times when the troughs were not cleaned and have overflowed. The down pipes are at the lowest points of the trough system so are the points that the water would spill over. If the down pipe is on the north side of the house it also has the problem of freezing solid in the winter. Snow melt, on a cold but sunny day, will tend to freeze in the down pipe and split the seams. When the ambient temperature rises it takes a while for the solid mass of ice in the pipe to thaw and the current run off will leak through the split seams onto the masonry wall and saturating it. Brick restoration and pointing is needed here to keep the moisture from getting to the inner wall. (d) Porch walls and pillars wear more rapidly than the house walls because they are exposed to more weather and they don’t have the advantage of being dried out by the heat of the interior of the house. They get wet and/or saturated more often and then are subject to the freeze/thaw cycle. Brick restoration and pointing is needed here to maintain their structural integrity as well as aesthetics. (e) Ah, the poor chimney. Chimneys really get the most wear and tear. Not only are they exposed to the elements no matter which way the wind blows but they also have to deal with temperature differentials and condensation. In inclement weather they get saturated no matter what. Then the furnace comes on and dries them out. Then the furnace shuts down and they get wet. Then the furnace comes on and they dry out. Then the furnace shuts down and….you get the idea. Now imagine that happening over the span of your homes existence. In the old days of coal there was really not a condensation problem. With the introduction of oil heating the stack (chimney exhaust) temperature decreased as the oil furnace was more efficient and less heart was going up the flue but with the outside temperature in winter being very cold there would be a bit of condensation in the chimney above the roof where it is totally exposed. In the 1950s terra cotta flue tiles were introduced to handle this problem. Then came natural gas heating. Now the stack temperature was very cool compared to coal or oil and condensation occurred a great deal more even with the terra cotta flue tile. Here the aluminum gas chimney liner came in to both prevent condensation due to the resizing of the exhaust path and also to keep any condensation from the bricks. So over the years chimneys have taken the worst of it. Most new furnaces no longer use the chimney but wood burning fireplaces still do. 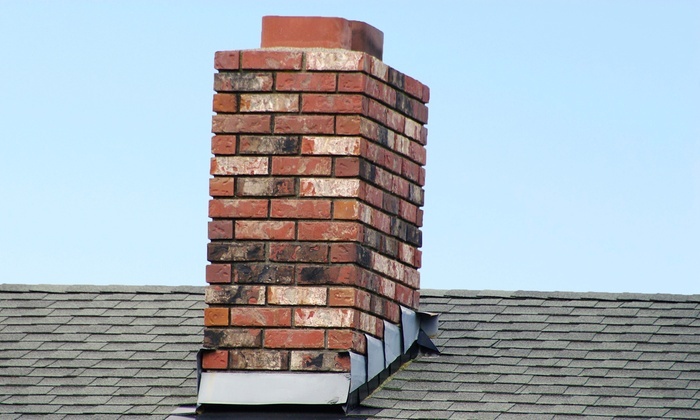 Brick restoration,pointing or rebuilding is needed on chimneys to maintain their structural integrity, allow them to safely function and exhaust the products of combustion and to keep you home looking like it should look. As a note, when having your chimney rebuilt many people are sold precast concrete caps. These are fine but were not in use until the 50s as well. On older homes Wilkens Contracting Inc. prefers to corbel the top of the chimney to maintain the period design. Many homeowners are told the reason for the chimneys wear was the lack of the precast cap which is simply not the case. The reasons are stated above. To verify this for yourself you simply need to go to an older part of town and look at the chimneys. These homes are older than most of the homes in Toronto and are still in good condition and were mostly have a corbel at the top. It is wear and tear that deteriorates the chimney, not the crown design. I think a corbel, in keeping with the design of your home, looks much better. Our customers love us, please click the link below to view our Customer Testimonials.